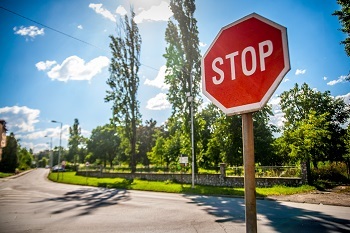 Stop signs, red lights, yellow lights, yield signs, speed limit signs and all other traffic control devices are the legal capital trial lawyers’ use, which are what we refer to as the rules-of-the-road. This ‘capital’, is the investable money we use in making a liability determination. My law firm handles serious personal injury cases, including those involving deaths. These are not easy cases for many lawyers to handle. Taking a case is not the same as knowing how to handle it. We have handled more wrongful death cases than most lawyers have had personal injury clients. Most lawyers are volume lawyers. They handle a lot of small cases, never spending much time with any one client. Sooner or later the clients of the volume lawyers call my firm to ask us for answers to the questions they aren’t getting answered from the lawyers they have hired. We send them back to the lawyers they hired. After all, you get what you pay for. If you want help from an experienced lawyer contact us online or call 515.222.1110 for a free interview. Every Saturday this law firm posts the current Iowa State Patrol fatality and injury report list so our out-of-state clients and potential clients have access to the latest word from the Iowa State Patrol. If you have questions about what the investigating officer's report means, or how to interpret it, give Steve Lombardi a call at 515-222-1110 or send him an email at [email protected]. Here are the injury reports for this past week. If you follow this link to the Lombardi Law Firm category Interstate 35, I-80, I-235, I-380 Collisions/Accidents you can find most Iowa State Patrol crash reports linked and some, but not all, are analyzed. Look along the left column under The Verdict to see if the date of your accident is shown; if it is simply click on the linked title that should include a date. There are two for every Saturday. One is for fatality reports and the other for injury crash reports. If you or an interested person are in a collision and you would like the crash analyzed you'll need to contact Attorney Lombardi. This may or may not result in an attorney-client relationship and simply asking for a review does not in and of itself create such a relationship. If you ask and Mr. Lombardi thinks you have a case he will say so and provide an agreement for representation that then creates an attorney-client relationship. The bottom line is that Mr. Lombardi has to agree to take you on as a client; the first step of course is asking him. You've got two ways: telephone 515-222-1110 or email sent to [email protected].